As the largest mobile app development company in Saskatchewan, we have collaborated with some great Canadian companies from British Columbia, Alberta, Saskatchewan, Manitoba, and Ontario – companies that aim to meet the growing mobile app demand of their customers. But where does this demand come from? Obviously there is a demand for smartphones, with more than 16 million smartphone owners in Canada, but what would the smartphone be without apps? Wait, what would apps be without the smartphone? Hmm… What came first, the chicken or the egg? I digress. Smartphone owners want mobile apps that fit their lifestyle – the hobbies they enjoy, stores they shop at, banks they bank at, schools they go to, their job, etc. With more than half the population demanding these types of apps, companies are beginning to listen. 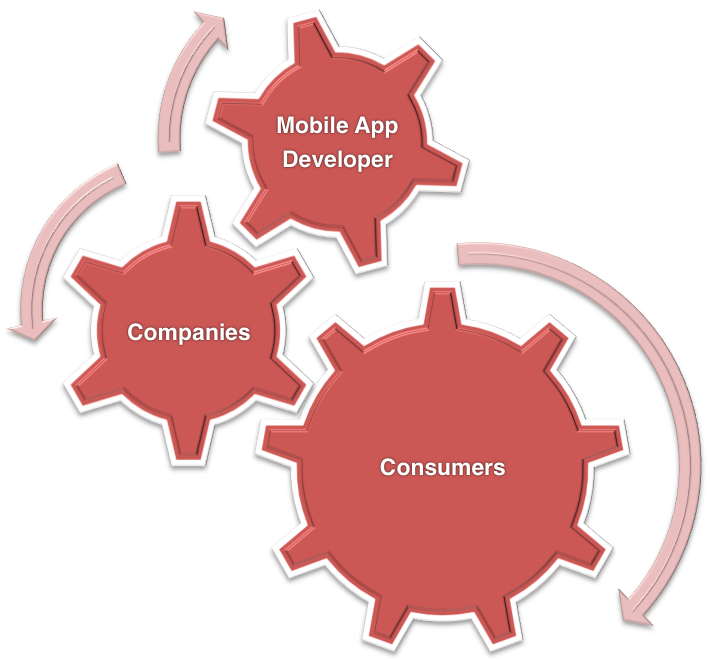 So then, the demand for mobile app developers all begins with the consumer. They want that extra connection to organizations. Actually, they expect that connection. Many apps are free, so unfortunately there are often no immediate profits from developing an app. There is, however, something more valuable that may not improve the bottom line immediately but may do so in the future. Consumers see great value in a convenient mobile app for a business of their liking. When an app exists, customers may be more loyal to the business. When an app does not exist, customers may be disappointed or even angry (depending on the company size). In other words, not having an app may be a competitive disadvantage. Take Walmart for example. Walmart has a smartphone app available in the US, but not in Canada. When I want to look for sales on a vacuum cleaner, I would search within a retailer’s app (though, some people would use the web). With no Walmart app, I search in the Canadian Tire app. Guess who is more likely to get my business? Since mobile apps are another form of competitive advantage, most companies want one. Therefore, although the demand for mobile app devs starts with consumers, our team sees the majority of demand from companies that aim to improve their competitive advantage.